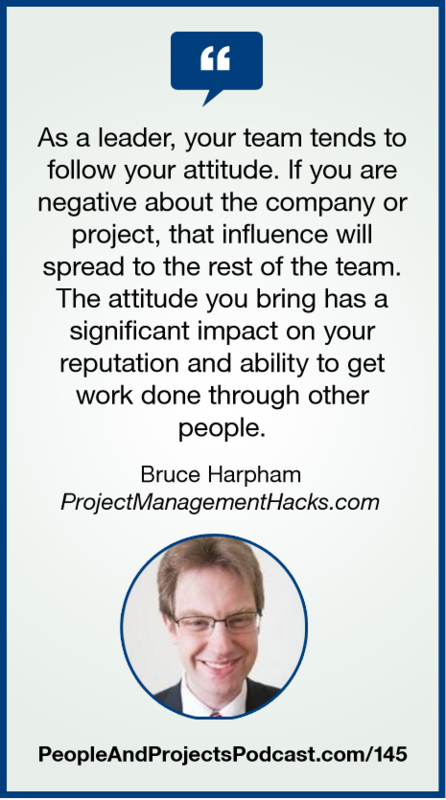 In this episode I welcome Bruce Harpham from ProjectManagementHacks.com. Bruce is a regular blogger on topics related to career advancement for project managers. Check out his website and sign-up for a free copy of his Career Advancement Workbook. Give the Gift of Learning to Your Administrative Assistant! On April 27, 2016, administrative assistants around the world will be celebrated as part of Administrative Professionals' Day. Here's a bit of advice: take your assistant out to lunch! Treat them extra special! And how about this--give them the gift of learning! Our Effective Administrative Assistant Webinar Series starts up on April 14. I'll be leading a series of two-hour webinars designed especially to help your admin improve their ability to get things done. Learn more at http://courses.i-leadonline.com/courses/the-effective-administrative-assistant-webinar-series. Use a coupon code of admin-gift-16 to save $59 USD off the price. Thanks for spreading the word about this! MEATBALL PARADE by Kevin Macleod Licensed under Creative Commons: Attribution 3.0 License. OVERTURE-HOW TO SUCCEED IN BUSINESS WITHOUT REALLY TRYING by Frank Loesser available on Amazon.com.